Things to consider when making this important purchase. When setting out to purchase a wood fireplace, it’s important to understand the basics. In Part 1 of this two-part series (blog posted March 15th), we covered the fact that there are two types of wood fireplaces with distinct differences – manufactured EPA-certified wood fireplaces (highly efficient), and masonry-built wood fireplaces (highly inefficient). In Part 2 below, we cover important things to consider when it comes to performance, installation and fuel. Advanced combustion technologies enable EPA-certified wood fireplaces to provide heat for many hours on a single load of wood. And because the wood burns so completely, ash is minimal, making cleanup is much easier. 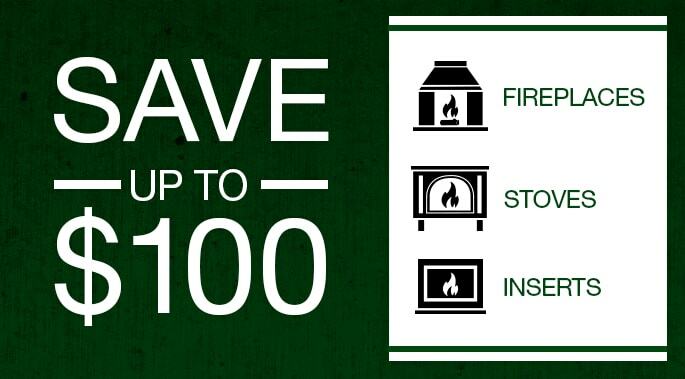 EPA-certified wood fireplaces create “complete combustion,” meaning the wood receives ample oxygen while burning at high temperatures, burning for an amount of time that ensures the combustion gases are burned before being expelled through the chimney. For this reason very little, if any, smoke comes out the chimney, and minimal pollutants are expelled. Some models emit as little as 3.1 grams per hour. Well worth the investment, it’s best to choose a wood fireplace from an established brand like Quadra-Fire. For instance, the 7100 features the Quadra-Burn system, which burns and re-burns gases and smoke up to four times providing clean, fuel-efficient heating with wood. And because it’s non-catalytic, the system does not degrade in performance over time. As a point of reference, the approximate price range for purchasing a manufactured clean-burning EPA-certified wood-burning fireplace and having it installed is $6,500 to $9,500, and up. Actual costs vary by area of the country, type of chimney, whether or not a chase is needed, and the model of fireplace and surround materials chosen. We recommend you hire a professional installer certified by the National Fireplace Institute®, who will also obtain necessary permits and arrange required inspections. Wood is a natural, renewable fuel that is plentiful in many areas. Rising costs for fossil heating fuels like heating oil and propane have prompted many homeowners to embrace heating with wood. The best woods for burning are dense varieties from broadleaf species like oak, ash, maple and hickory. When compared to lighter conifer woods like pine, they provide longer-lasting coals, and produce less smoke and sparks. Wood destined for the fireplace should be seasoned properly, meaning it’s been air dried for at least one season after being cut, split and stacked. An average 1,500 square foot house will require about two to four cords of wood per season (a cord is stacked 4’ x 4’ x 8’). Why Chose an EPA-certified Wood Fireplace? 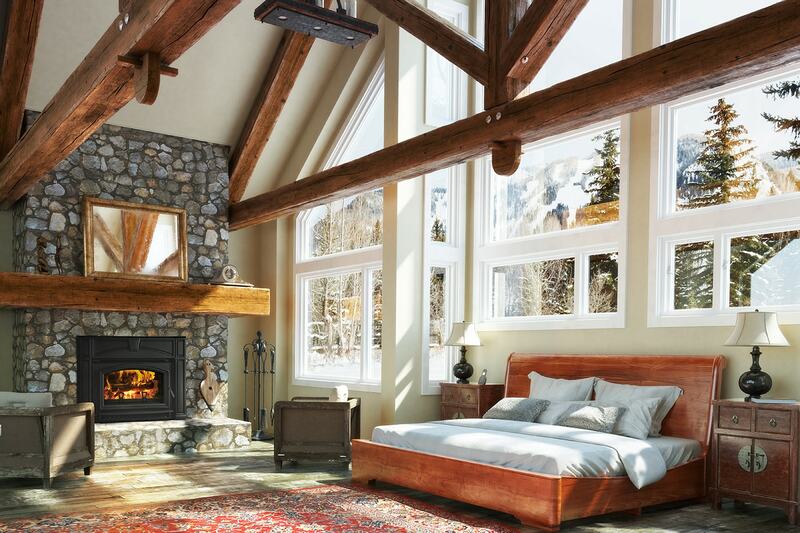 When you purchase an EPA-certified wood fireplace, you can enjoy the ambiance and cost benefits of heating with wood, while being a responsible guardian of the environment. They generate the highest possible heat value from the wood, and are recommended by the Hearth, Patio & Barbecue Association. We hope this two-part blog series helps you choose the best wood fireplace for your lifestyle and home!